Vegans do not use or eat any animal products. You might think of obvious things like beef, chicken and fish. But vegans also avoid eating any foods made by animals like eggs & milk. Protein for vegans comes from plants and is found in things like tofu, tempeh and beans. When creating our vegan meal plan I noticed a couple of differences from the regular meal plan. You get more containers but a different mix. The vegan meal plan gives you more green and red containers. But you get fewer yellow and purple containers in some plans to keep your macronutrients in balance. Also, the yellow containers are split into whole grains (A) and starches (B). You do end up eating slightly more carbs but the plan aims to keep you as close to the 40/30/30 split as possible. 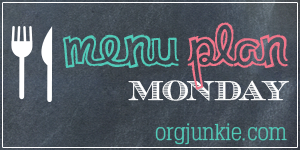 To help reduce the overwhelm of creating a vegan meal plan for the first time I created 2 full days of menus and just alternated them throughout the week. You can use this trick to help make any meal planning easier. Ultimate Portion Fix is now available for purchase! By purchasing Ultimate Portion Fix you will also get EARLY VIP ACCESS to the new real-time 21 Day Fix & 21 Day Fix Extreme workouts starting April 1st.